Update: the results of the auction are now published online. 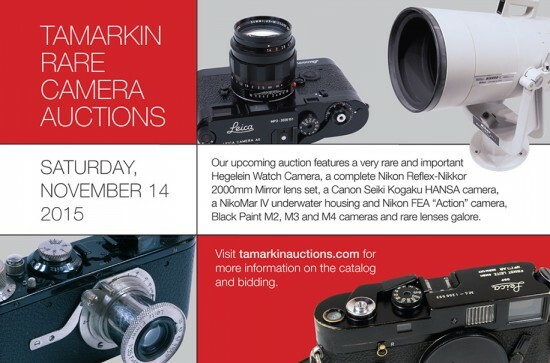 The Fall 2015 Tamarkin Rare Camera Auction will take place on Saturday, November 14, 2015 in Woodbridge, Connecticut. The auction catalog can be downloaded here. 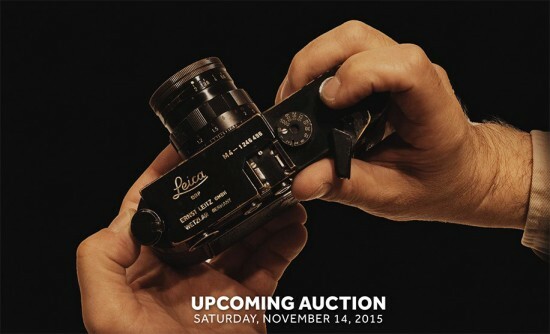 Included in this auction is the fourth known example of the Hegelein Pocket Watch Camera, a Leica 15mm Hologon lens, a 50mm Noctilux f1,2 lens complete in its original packaging, black paint Leica M2, M3 and M4 cameras, a Nikon Reflex-Nikkor 2000mm mirror lens and many other exciting collectible Leica cameras and lenses. 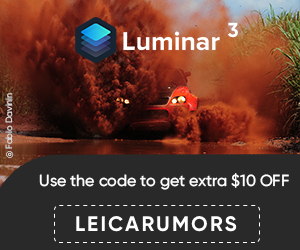 This entry was posted in Leica Auction Madness and tagged Tamarkin Photographica Auction. Bookmark the permalink. Trackbacks are closed, but you can post a comment.